After three days of hard work, my move is complete. I am completely out of my old apartment and into my new one. A score of boxes still need to be unpacked and their contents put away, but my cat and I are living in our new home. Summerlin is a master planned community first thought up by Howard Hughes. He bought land for only a few dollars an acre, but died before he could see his vision of parks, schools, churches, and open spaces materialized. Later, another entity, still keeping his name, started building out the development one sees today. 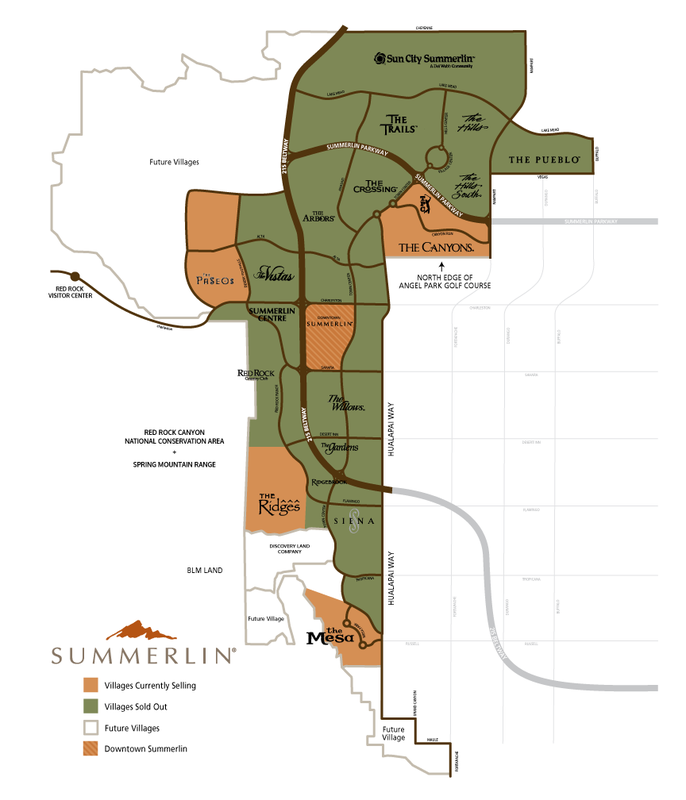 Summerlin is in the western part of Las Vegas. Only ten miles distant, Red Rock Canyon National Conservation area is the area’s closest and best known landmark. Hiking, climbing, bike riding, and horse riding are only minutes away. Much closer is the Red Rock Casino Complex, with plenty of gaming, an 18 screen movie theatre, and a 66 lane bowling alley. Red Rock is where locals go for entertainment. The Las Vegas Valley is currently experiencing an “excessive heat warning” as defined by the National Weather Service. We’ll hit 110 degrees today. It’s either raining when you move or it’s too hot. Take your pick. Click on the map below for a larger image. I am in The Willows.